It is a great honor to announce the following two promotions yesterday during "Budo on the Bluff" . 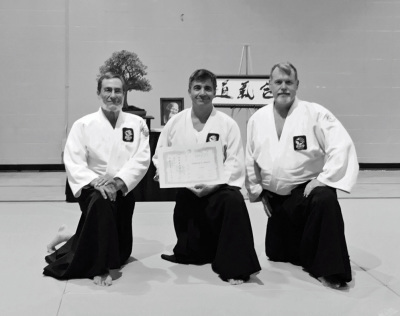 Our Senior Instructor Sensei Hudson Harris was promoted to Godan and awarded the title of Shihan-dai by Hanshi Roger Jarrett. 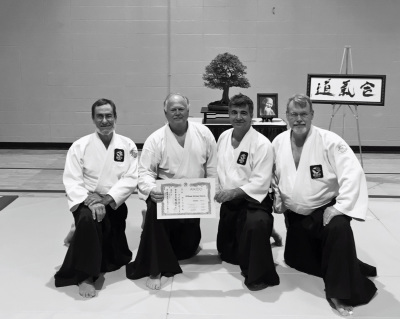 Also, Sensei Mike Morris was promoted to Sandan. Outstanding job, and our sincere congratulations to you both!